by specific sequences. They are simply understood by your soul. You may view the symbols and close your eyes in meditation, or you may feel inclined to trace the symbols with your fingers or a tracing tool, or simply place your hands upon the symbols to feel the energies flow through you. 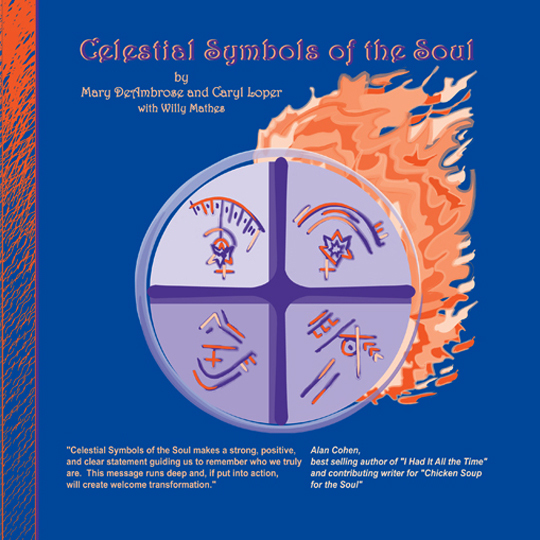 Celestial Symbols of the Soul makes a strong, positive and clear statement guiding us to remember who we truly are. * International purchases will incur additional charges. Please contact me for actual charge at: gary@garyloper.com. For 5 or more books, contact me for special pricing.